My interest in medicine has always been in the act of healing toward improving the functionality of my patients who may be suffering from impairments and disabilities due to pain or injuries. This interest has led to my training in orthopedic and trauma in the United Kingdom and the specialties of physical medicine/rehabilitation, pain medicine, sports medicine and electrodiagnostic medicine in the USA, with board certifications in all, including clinical informatics. The combination of these specialties makes me a key expert in core areas of diseases affecting bones, joints and nerves. 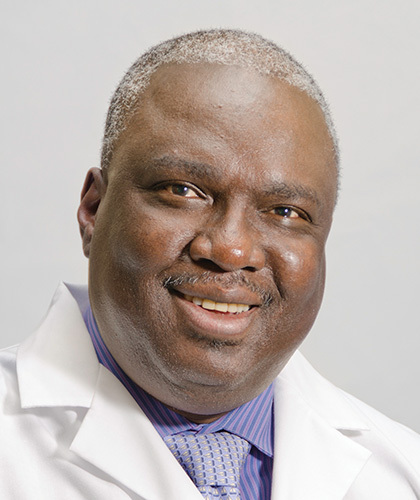 Previously, I was an assistant professor of traumatic brain injury at Mount Sinai Medical Center, New York, NY, and later an associate professor of pain medicine at Albany Medical Center/College, Albany, NY. I am a member of many national and international professional organizations while also serving on national committees of some of these organizations. Outside of medicine, I have a law degree from the University of London, with a sub-specialty in IP/Corporate Law, an MBA from Johns Hopkins University, Baltimore, and an MS in medical informatics from Northwestern University, Evanston, IL. In my spare time, my hobbies include being a Webmaster and Chief Editor of Dawodu.com, which is a pioneer website on the history and socio-political issues affecting Nigeria. I also love traveling and I have been to more than 64 countries in Europe, North America, Asia, Africa, Central/South America and Australasia. I also fly a Cessna 172 in my spare time. I am very involved in community activism as it concerns human rights, corporate social responsibility, medical missions, etc. I am an avid soccer fan and follow my favorite soccer club since childhood, Manchester United Football Club. Please contact us at (717) 339-2790 to schedule a visit.